2012 was big year for social businesses. Many businesses became aware of the true meaning of “social business.” They understood that it does not simply involve using social media in the workplace; rather, it implies using social channels as a new form of communication to interact, listen and engage with colleagues and customers. The following social business statistics fascinate me. While of the stats show that many businesses are slowly adapting to the concept of being a social business, some of them show how many organizations fail to respond to or meet customer expectations of requests and complaints submitted via social media. Each week on Facebook more than 3.5 billion pieces of content were shared. Over 350 000 000 users are addicted to Facebook. There are more people on Facebook (901M) than in Europe, Russia & Middle East combined (780M). If Twitter were a country, it would be the 12th largest in the world. In 2012, watching TV became a social experience as television shows started designating Twitter hashtags for episodes and scenes. According to this site, older consumers are more likely to expect customer services responses via social media than younger consumers. In 2012 57% of comments about U.S. airlines on social media were negative. This seems to continue this year with all the hype about the American Airlines logo change. Read our story about this here. 71% of companies today say they provide customer support via social media. 18% handle over a quarter of all customer care this way. (SAP and Social Media Today Report). 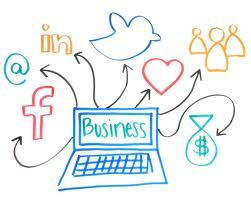 Two-thirds of businesses use social technology for marketing and related functions. 25% of the top retailers have never responded to a customer message on their Facebook Page wall. Only 33% of consumers expecting a customer service reply via social media actually received one. 40% of retailers have actually deleted messages posted by customers to their Facebook wall. Has your business made the transition to social? Tell us your stories of what succeeded and did not.